Crossing through the Andes from Argentina into northern Chile, our bus drove for hours across vast expanses of untouched terrain, passing only hills, lakes, llamas and dunes for miles and miles. How could there be a town anywhere near us, we wondered? And then, from one minute to the next, houses appeared on the horizon and soon after we arrived to the immigration entry point to Chile and at the same time, the town of San Pedro de Atacama. The little town, which sits on the edge of the driest and highest desert in the world, is the main base for tourists visiting the many attractions here: steaming geysers, volcanic lagoons and hot springs, salt flats with pink flamingos and salt caves, sand dunes, erratic rock formations and other-worldly landscapes. The Atacama Desert offers some of the most spectacular scenery in all of Chile, but the experience is augmented by the fact that the town of San Pedro de Atacama itself is a really charming, strangely chic and gastronomically friendly place in its own right. The tiny town exists almost entirely due to tourism, and the few dusty roads are lined with restaurants, guest houses and tour agencies all there to cater to the needs of tourists. The central plaza is anchored by a beautiful white church, which is unique with its creaky, wooden floor. The surprisingly good food, the laid-back vibe, and the remarkable scenery all helped San Pedro de Atacama make it into the Top Five Favorite Places we visited in the past twelve months! We are looking forward to returning there on our way to Bolivia later this year. 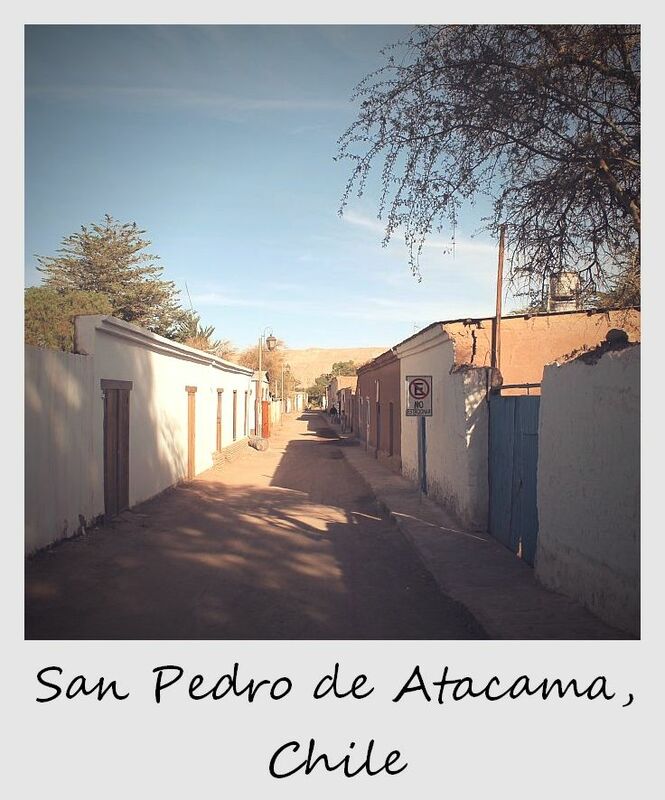 I loved San Pedro de Atacama, too! I was there for a few days before my salt flat tour up through Bolivia, and really enjoyed it. Went on a few tours and lazed in some hammocks – that sums up my few days there pretty well! Sounds right up my street! Hopefully I’ll make it there one day. I hope so, too, Kat – It’s such a beautiful part of the world, and it seriously felt like we were hiking on the moon when we toured the desert around San Pedro! Andi – I hope you get to visit San Pedro soon, it’s such a beautiful little place and the scenery around there is just unreal. Ahh I can’t wait to visit South America. This photo though makes me feel lonely. It looks so isolated. Sounds amazing! We booked a trip for xmas and new years 🙂 where did u stay in san pedro? any recommendation? thx! 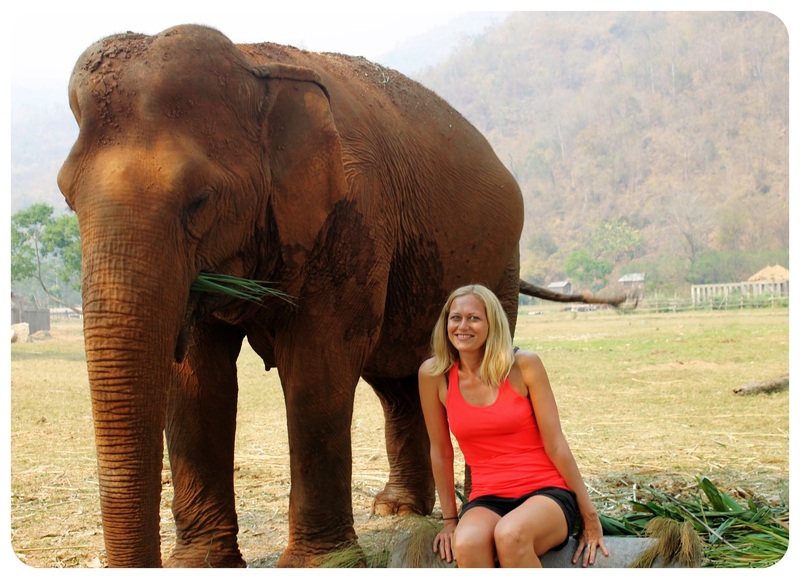 Hi Jessica, if you’re planning to splurge, check out the Atacamaventure Ecolodge. If you’re more on the budget-conscious side, I recommend looking on TripAdvisor or try to find a place with good reviews on Booking.com. The two cheap hotels we stayed at were both not great, I’m afraid I wouldn’t recommend either one.